I love the travel section of the New York Times. When front-page news is concerned with nothing but wars and partisan politics and I begin to feel like there isn’t much hope left for humanity, the travel section inevitably saves the day, reminding me of all the beautiful places and cultures that are still worth experiencing in the world. Earlier this month, the corner of the globe featured in the travel section was Memphis, Tennessee. 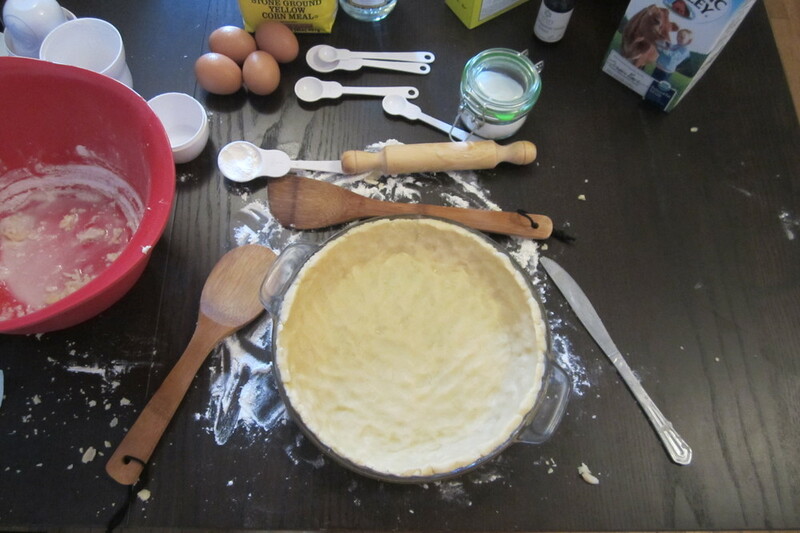 And the article left me inspired, not to visit Memphis, but to bake pie. In Memphis—and in many parts of the South, I gather—baking pie seems to be this time-honored tradition. Every pie recipe is a treasured document, with its own genealogy, history, and story. People bake pie not just because it’s delicious, but because it’s something that they really take pride in; because it’s a way to pay homage to their grandmothers. Now my grandmother did not bake pie. I myself am more of a muffins and cookies kind of girl, and I don’t have my very own collection of special pie recipes that have been passed down in my family from generation to generation. However, the article, with all its vivid photos and romantic prose, really made me want to join this national community of pie bakers, to become better acquainted with this quintessentially American dessert, and to ultimately master the art of pie. And so just like that, the idea for my latest creative project in the kitchen was born. I would begin with a Southern classic I had neither heard of nor tasted, but nevertheless felt compelled to make: chess pie. 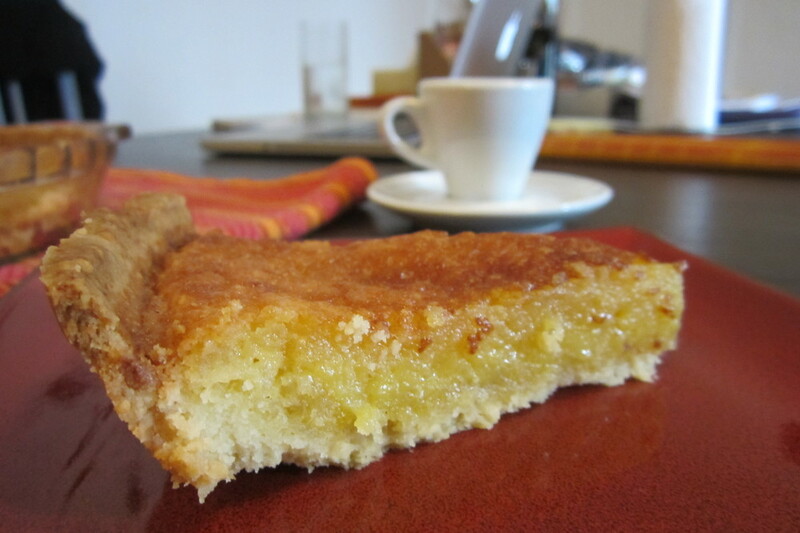 The simplicity of chess pie was what drew me to it. 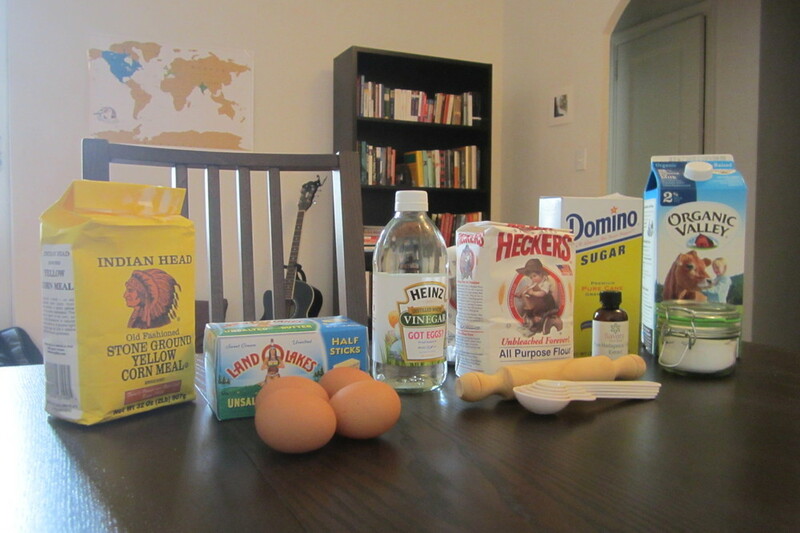 The ingredients were for the most part things we already had at home—eggs, sugar, salt, flour, butter, vanilla, cornmeal and vinegar. And the name of the pie seemed intriguing as well. Did people play chess while eating it? (Answer: Perhaps. There are many theories as to where the name originally comes from). Anyways. Must not digress. I’ll walk you through my first experience with chess pie. First, I made the crust. 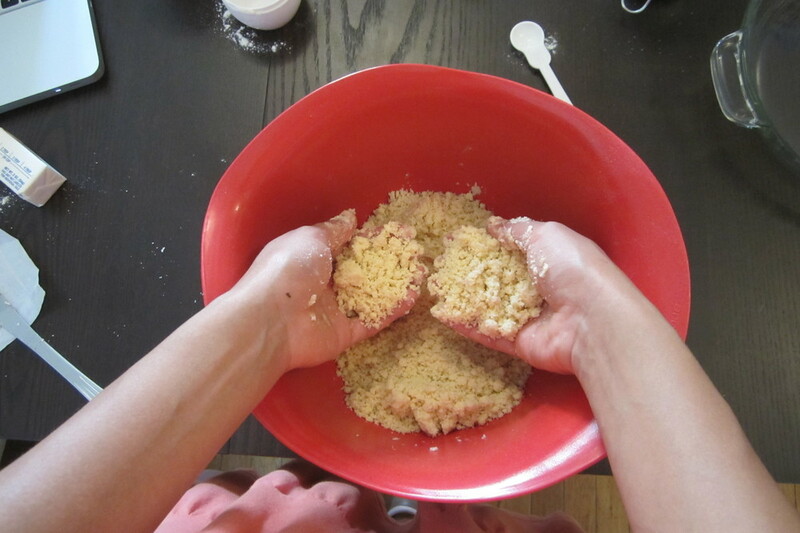 I mixed together some flour, sugar, and salt, cut in some chunks of unsalted butter, and crumbled it all together by hand. Then I sprinkled the doughy mess with some water, formed it into a ball, and flattened it out with a rolling pin before placing it into my buttered pie dish. You can very easily skip these steps by simply buying a store-bought crust, or make the crust using a fancy pastry blender or food processor, but I think making it from scratch and getting your hands dirty is so much more fun. 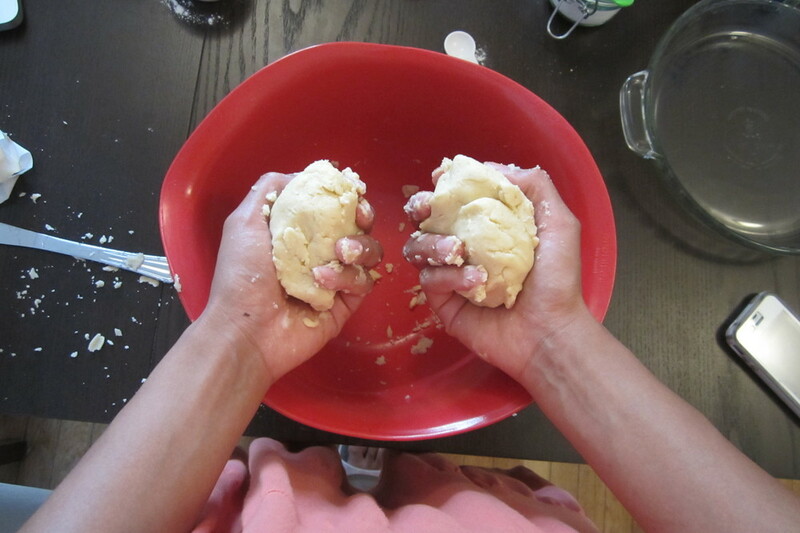 Although you may want to actually cool the dough in the fridge for two hours or so before you roll it out…I was too impatient to do this, and things got a little messier than intended! While the crust pre-baked in the oven for a few minutes, I whisked together the eggs, milk, and vanilla, slowly stirred in the sugar, and added all the other ingredients until I had a mixture that looked basically like orange juice. The two cups of sugar I poured in felt like way too much but it was totally worth it! Also, while skipping the vinegar in the recipe was tempting, I was so glad I added it after all. Sometimes you just have to trust the recipe. After I poured everything into the prepared crust, the pie baked for about 40-45 minutes at 325 degrees and when it came out of the oven the top was a beautiful golden brown, almost like crème brûlée. The crust was a bit too brown for my liking, but apparently the trick to preventing that from happening is to cover the edges of the crust with aluminum foil prior to baking. I’ll have to try that next time! In any case, the chess pie turned out to be heavenly. 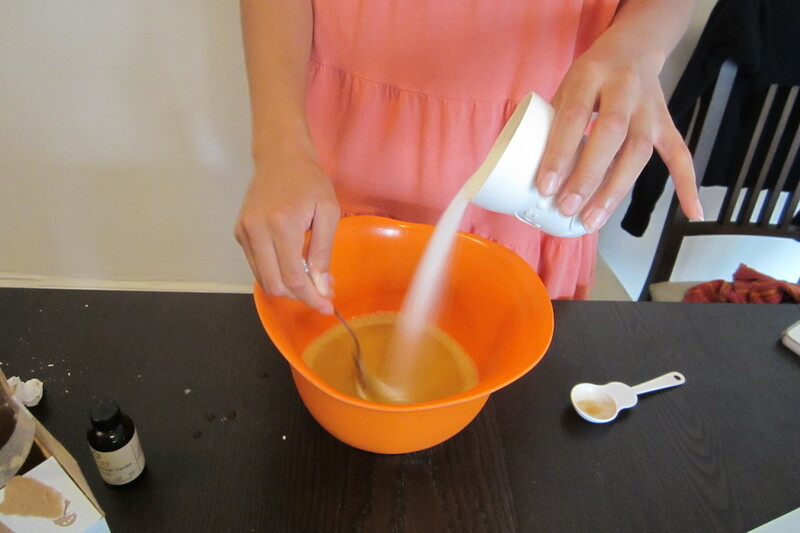 It was smooth, creamy, with a nutty, vanilla-infused, caramelized sugar sort of flavor. Not at all too sweet like I had feared, and it went down wonderfully with a cup of espresso. Needless to say, it won Simon’s stamp of approval and I will be making it again! All in all I thoroughly enjoyed my first serious foray into the art of pie. I’m thinking next up may be a coconut cream, or something seasonal with berries….mmm. If it’s a success, I’ll be sure to share! 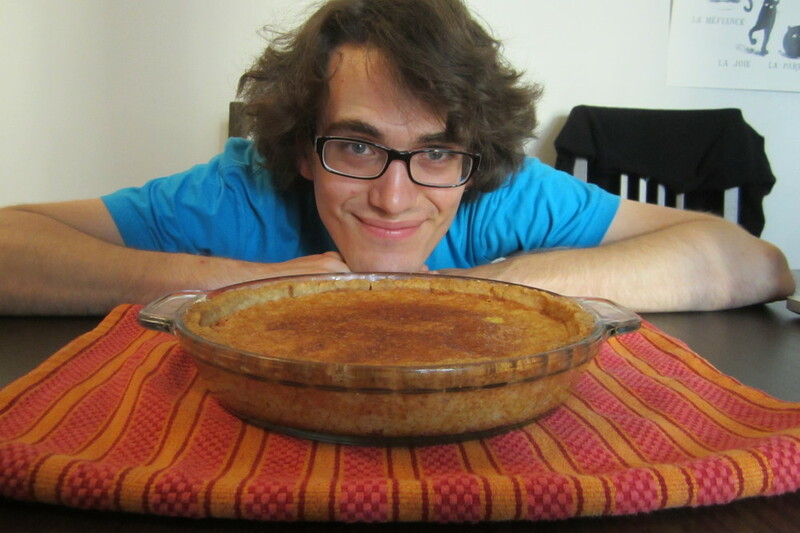 Until then, if you’re interested in trying your own chess pie, you can find the exact recipe I used here. Happy baking!